JD Rail Solutions’ innovative SmartTrack™ system is also ideal for use on High Speed Rail networks. Quicker to install than conventional ballasted tracks, SmartTrack™ for High Speed Rail is also designed to encourage natural water flow and drainage with minimal resistance. 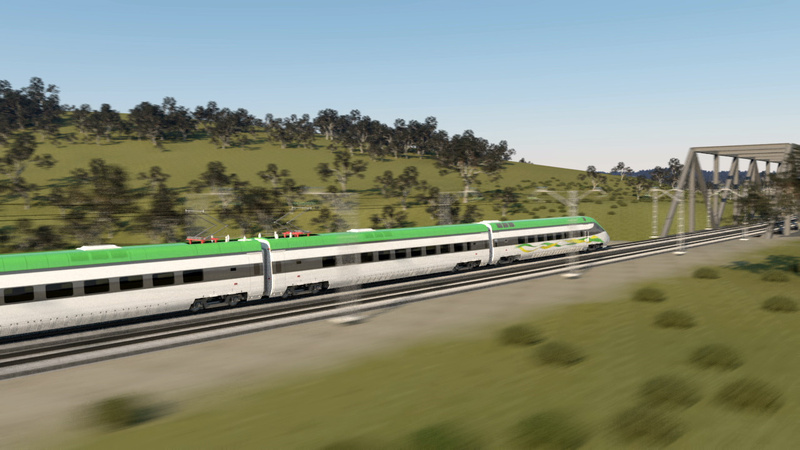 JD Rail Solutions has designed the innovative SmartTrack™ system which can be used in the implementation of a new high-speed rail system which would help almost two-thirds of the Australian population, and would also dramatically cut carbon emissions. Travel times between Sydney and Brisbane would be reduced to just 3 hours. JD Rail Solutions has developed the unique SmartTrack™ system which offers many benefits over existing methods of ballast rail systems. The SmartTrack™ system is ideal for a high speed rail network, with capability for bullet trains to travel in excess of 400 km/hr. • excessive weight over bridge structures. The SmartTrack™ system developed by JD Rail Solutions has been designed to reduce maintenance, which in turn reduces the associated maintenance costs. It is also lighter than traditional rail systems, which provides ongoing cost savings for bridge construction.